I am well-acquainted with the loneliness of the long-distance runner; now I understand a little of the hardiness of the long-distance rower. It was on the second of two four-hour stints yesterday that the magnitude of rowing the 20-odd miles of the Dover Strait became glaringly apparent. We were rowing across the waters of Langstone Harbour on England’s south coast. A fine rain was falling in our faces and Portsmouth – to our right – looked grey and miserable. We were rowing against twin enemies: the jaws of a Force 6 gale and the incoming tide. After an hour, our cox, Mike Gilbert, told us we had covered a mere two miles, equating to a slow walking pace. It wasn’t like we had been slacking. We were pulling hard, showing our best, most united form yet. We were tired, nevertheless; rowing is still a relatively alien pastime to us all. The blisters from the previous day’s four-hour effort were stinging. Then there were the individual aches and strains: necks, shoulders, backs, legs, feet and stomachs. Hunger and thirst would also gnaw away at us. Rowing harasses the body like no other sport, it seems. Two miles from the northern tip of Hayling Island didn’t even take us to the mouth of Portsmouth Harbour. Beyond the relative safety of the harbour was the English Channel and somewhere hiding beyond the horizon was France. It seemed an impossible distance. After rowing on for several minutes, we teetered on the edge of harbour and sea – a windy, choppy, nasty place, haunted by the occasional big roller – before Mike ruled that it would be unsafe to circumnavigate Hayling Island as we had hoped. Turning back wasn’t necessarily the easy option. Yes, the wind was with us for the first time that day. Yet the tide wasn’t. We had turned; the tide had turned. That antagonist remained. Mike – wanting to prepare us for the potential worst – was a tough taskmaster. We would occasionally pause to change positions in the boat, but generally we pressed on. If someone needed to eat, drink or answer a call of nature, the other three would continue rowing. The difference from four rowers to three was great. Instantly, the water got heavier and you count down the moments before that fourth person rejoins. With the team four-strong again, the blade suddenly feels lighter. Unwittingly, we have chosen a hard option by having a four-man crew. The vast majority of crossings are in six-men (or women) boats, or more, so much so that if we succeed in our efforts we will only be the third four-man crew to ever row the English Channel. Potentially, in the right conditions and with the right mindset, there is also a record to break. There will be, however, a major difference between our attempt and those of the other four-man crews: before we even get in the boat we will spend more than 12 hours relay running at least 100 miles from London to Dover. Our rowing training is over. There is always the rowing machine, of course, but there is little as tedious as sitting on a rower for two hours. The next time we get in a boat it will be the real thing: the crossing of the English Channel. 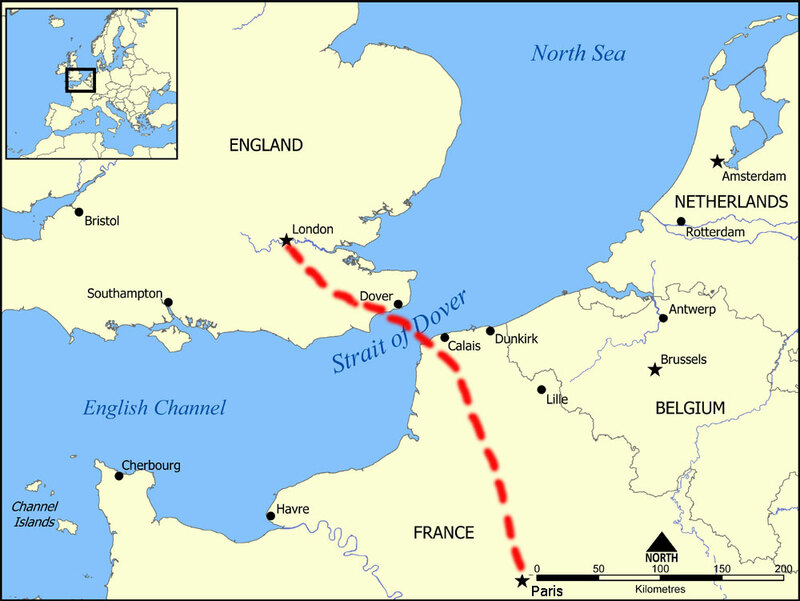 If we make it – avoiding ferries and tankers, and hoping that the authorities allow us to land on French soil – we’ll just have the trivial matter of a 190-mile cycle to Paris to accomplish. Our Arch to Arch challenge is seeking to raise money for two charities: The Stroke Association and Kith & Kids. Please visit this webpage to sponsor or to find out more about the event. Next Post London to Paris: running, rowing and cycling – please sponsor!